If you have a four legged family member, chances are you struggle with stains and scratches. 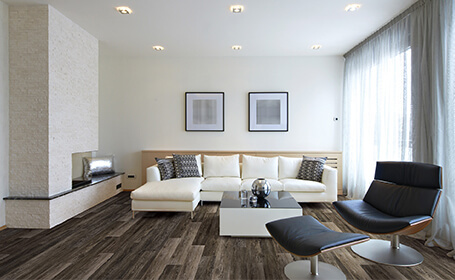 Now, STAINMASTER® has developed the durable PetProtect™ Luxury Vinyl Tile (LVT) and Luxury Vinyl Plank (LVP) that’s perfect for homes like yours. 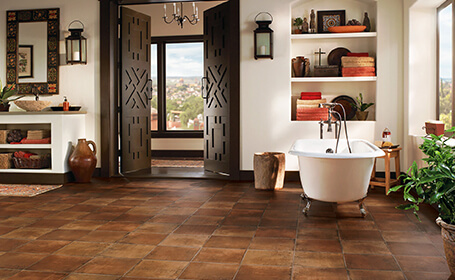 When adventure becomes misadventure, STAINMASTER® PetProtect™ luxury vinyl flooring has you covered. It’s durable enough to stand up to pets of all shapes and sizes. It’s also easy to clean and maintain, making STAINMASTER® PetProtect™ luxury vinyl flooring a perfect choice for families with pets. 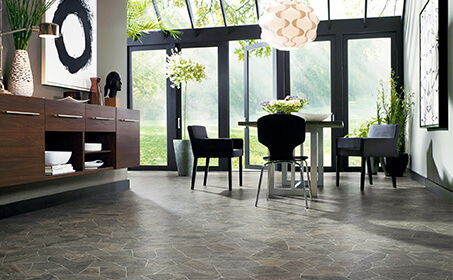 And the Luxury Vinyl Tile and Plank options are just that – luxury. You don’t have to compromise on looks or style selections when protecting against pet mishaps. 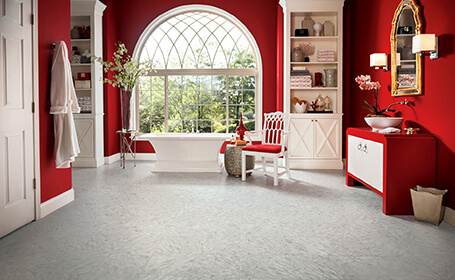 And as an added bonus, STAINMASTER® PetProtect™ luxury vinyl flooring was designed specifically to coordinate with STAINMASTER® PetProtect® carpet. Pair STAINMASTER® PetProtect™ luxury vinyl flooring with the STAINMASTER® PetProtect® carpet and cushion system for pet-friendly flooring in every room of your home. 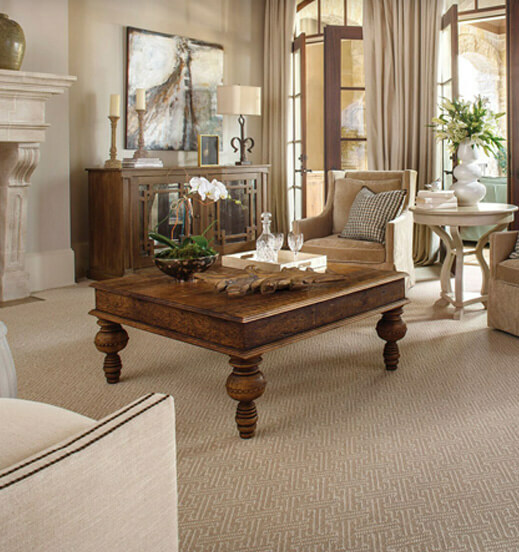 To see all the beautiful carpet options, visit our STAINMASTER® Flooring Center. With STAINMASTER® PetProtect™, You Can Sit Back, Relax, and Enjoy Your Furry Friend! The pet advantage: Made with a pet claw shield to help resist scratching, this luxury vinyl flooring is durable enough to withstand claws. The pet advantage: It features pet-action traction for your pet’s paws. So no more slipping and sliding when you play a game of chase or fetch. 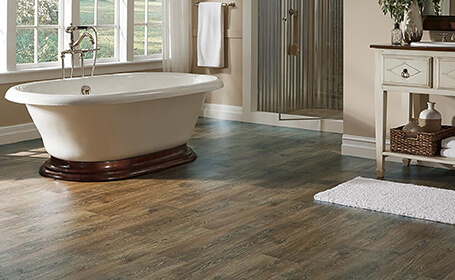 The pet advantage: With this waterproof luxury vinyl flooring, there’s no swelling due to water exposure, making it a top choice for moisture-prone areas of the home, like bathrooms and basements. 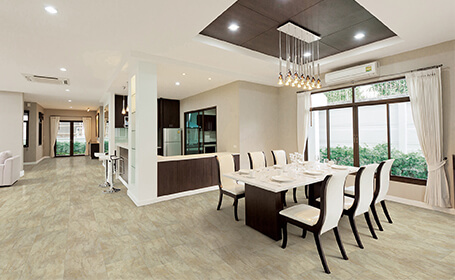 The pet advantage: STAINMASTER® PetProtect™ luxury vinyl flooring resists absorption of odor-causing liquids, meaning you’ll have fewer lingering odors. 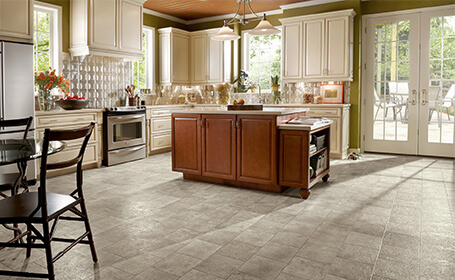 The pet advantage: STAINMASTER® PetProtect™ luxury vinyl flooring is easy to clean and install. 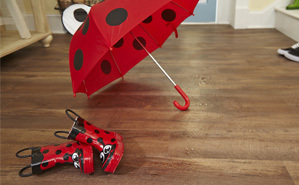 Pet accidents are a cinch to clean and they won’t stain this waterproof luxury vinyl flooring. With benefits like these, we really do mean Sit Back, Relax, and Enjoy!